For a very ‘Holy connection’ during CK#25, Drie. created a very relaxing gift for our participating experts. This CK took place in a former church which is now transformed into a hotel called Hotel Total. 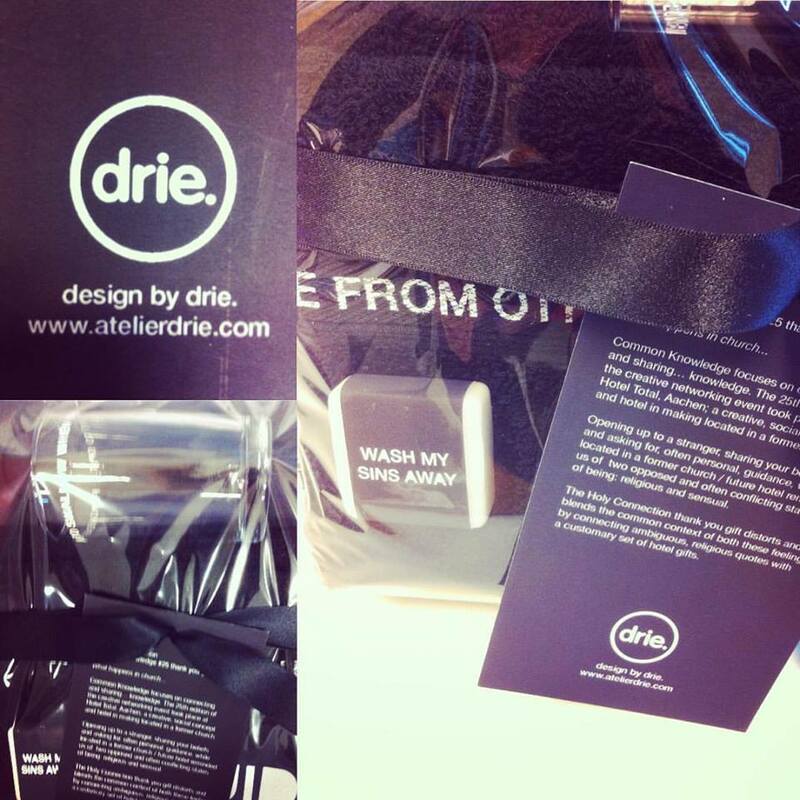 Drie provided our speakers with some necessary products for a good night of sleep. They worked from the conflicting states ‘religious’ and ‘sensual’ which are now combined in this hotel. In this gift they combined ambiguous, religious quotes with a set of hotel gifts. Drie is a designer trio who strive for a playful and free approach on the creative work field. Discover more work of Drie!